The Staff Selection Commission (SSC) has notified about the date of Combined Higher Secondary Level (CHSL) 2016 tier II examination. The result of SSC CHSL Tier I was declared on June 1 in which 53,201 candidates were selected to take part in the tier II examination. 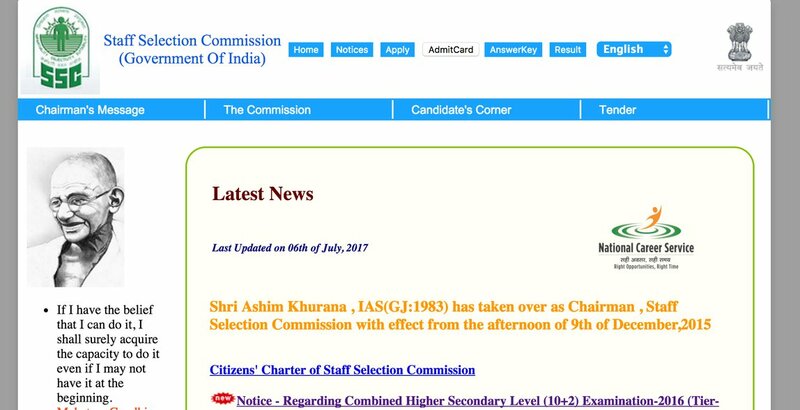 The selected candidates will have to sit for SSC CHSL tier II examination on July 9 at various examination centres across the country. The SSC CHSL Tier 2 examination was earlier scheduled to be conducted on June 25, but it got postponed to July 9 due to technical issues with the commission. The SSC CHSL Tier II examination will be a pen and paper-based, descriptive examination, which will carry 100 marks in total. The marks attained in SSC CHSL tier II examination will be taken into account along with the data entry skill test/typing test of the candidates for final selection. SSC CHSL 2016 will recruit for 5,134 posts of postal assistants/sorting assistants, lower division clerk, data entry operator and court clerks. Over 30 lakh candidates took part this year in the SSC CHSL Tier 1 examination of which only 53,201 got selected for SSC CHSL tier II examination. Candidates will be able to download their SSC CHSL 2016 admit card from the website.